Of the More Than 58,000 Admissions to City Jails Last Year, How Many Inmates Had Been There Before? 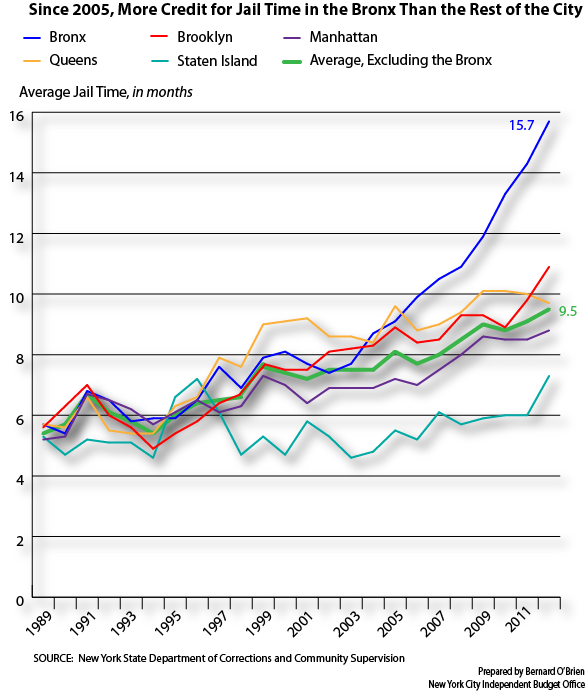 Has the Decline in the Number of Inmates From the City Led to the Drop in the State Prison Population? How Does Sick Leave Usage Vary Across the City’s Workforce? The use of sick leave by municipal employees varies widely among agencies. Uniformed employees in the fire, correction, and sanitation departments tend to use sick leave at higher rates than other city workers. Some of the difference is attributable to the type of work done by uniformed staff and the greater likelihood of on-the-job injury. Another factor may be the unlimited sick time provided to uniformed city employees. 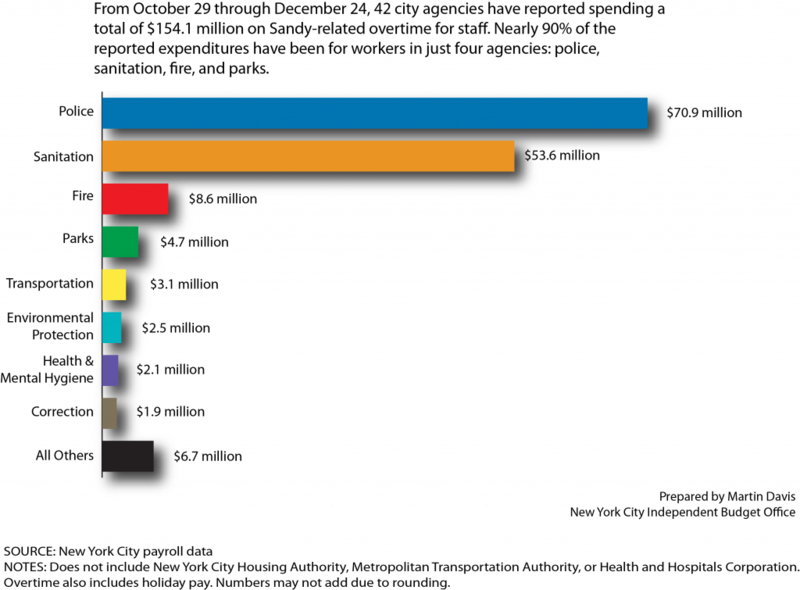 Sick leave usage by uniformed employees is a key driver of city overtime spending—a set number of workers are needed, for example, for patrol cars or fire and sanitation trucks whether or not the regularly scheduled employees make it to work. The recently released Mayor’s Management Report for Fiscal Year 2016 shows that uniformed police and fire personnel on average use sick leave unrelated to on-the-job injuries at a lower rate than their correction and sanitation department counterparts. Excluding days off for injuries on the job, police officers and firefighters also use sick leave less frequently than civilian employees. Still, firefighters are the most likely to be absent when factoring in leave that stems from work-related injuries. Sizable shares of police officers and firefighters (48 percent and 31 percent, respectively) used no sick leave of any sort in 2016. An additional 6 percent of police officers and 26 percent of firefighters only took sick leave due to on-the job-injuries. Conversely, 92 percent of correction officers and 90 percent of sanitation workers used at least some amount of sick leave for reasons other than being hurt on the job. In all four uniformed agencies, a small subset of personnel accounted for a disproportionate share of sick leave use not attributable to line-of-duty injury. The top 10 percent of uniformed personnel in terms of taking routine sick leave accounted for at least half of all sick leave use in their agencies. Each of the uniformed agencies monitors sick leave usage to minimize abuses. Uniformed personnel who are chronically absent may be subject to home visits to verify their condition and may also face the loss of certain discretionary benefits and privileges such as eligibility for assignment to special units or commands.